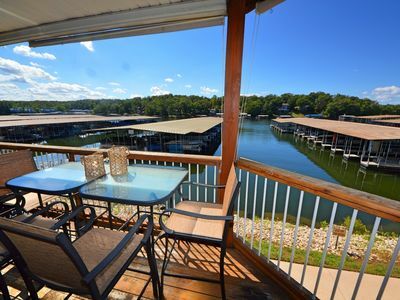 Lakefront bliss awaits you at this 1-bed, 1-bath vacation rental condo in Lake Ozark! 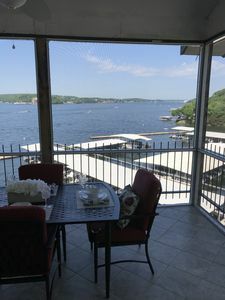 Sure to win you over with a direct view of the lake, you'll feel right at home throughout your stay. 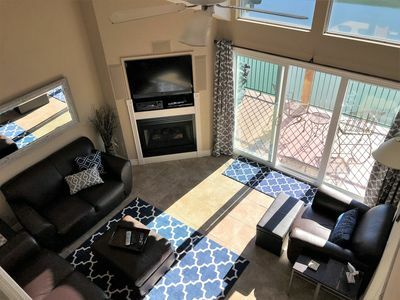 This condo is the perfect home base for a group of up to 4 guests seeking unbeatable access to top area attractions and activities. Venture out to explore shopping, dining, and outdoor adventure or make the most of the on-site community amenities. 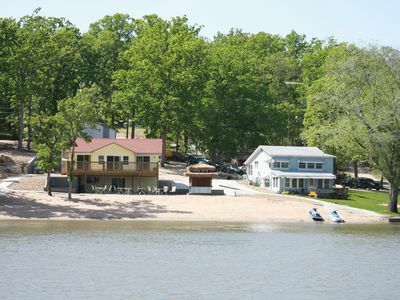 The complex offers pools, tennis courts, fishing docks and more! 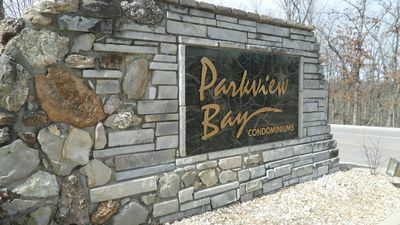 You'll immediately fall in love with the best view in the complex as soon as you step inside this well-appointed condo. 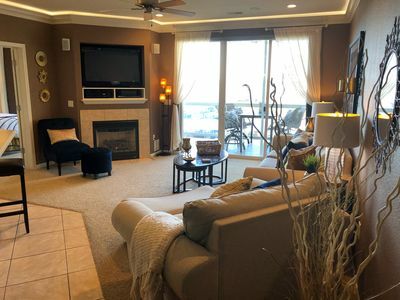 Directly overlooking the Lake, this cozy unit is filled with inviting natural light and all the comforts of home. 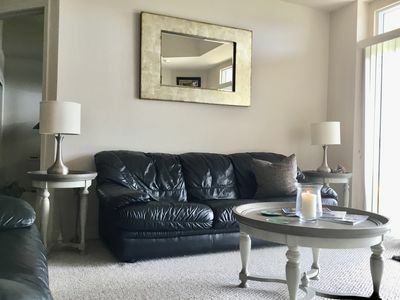 Settle into the living room, where 2 comfy sofas provide plenty of seating for your group to gather together during downtime. One sofa pulls out to a queen-sized bed if you need to accommodate additional guests. 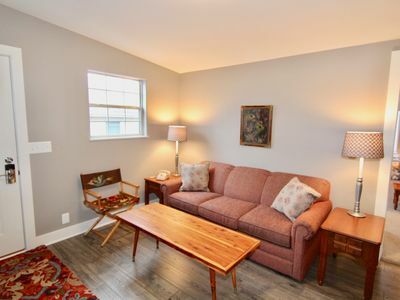 Sit back and relax as a movie plays, or offer to help set the table as the chef of your group puts the finishing touches on a home-cooked meal. 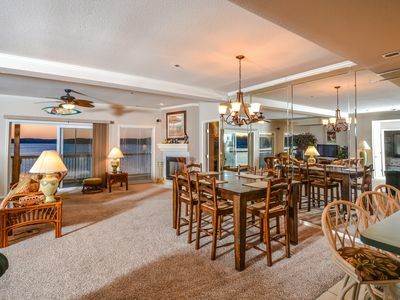 Both cooking and cleanup are sure to be a breeze in the fully equipped kitchen. 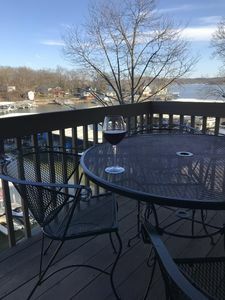 Warm weather calls for dinner with a view! 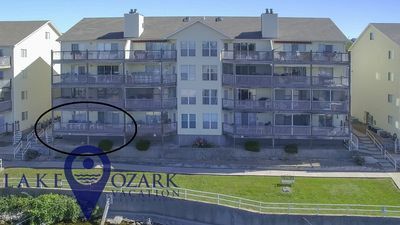 Use the gas grill to prepare a tasty feat and serve the meal on the furnished balcony overlooking the water. 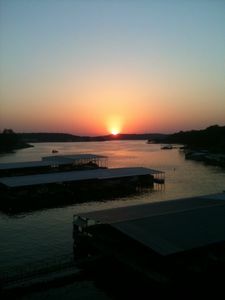 Linger outside with an evening nightcap and catch a stunning sunset before heading to bed. 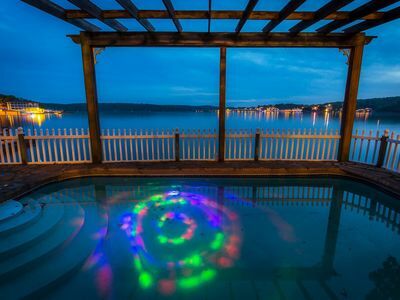 Be sure to enjoy the community amenities on-site during your stay! 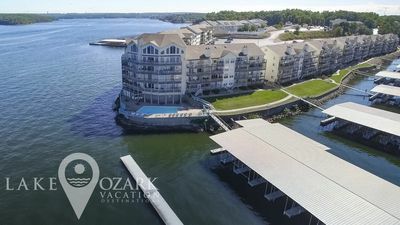 You'll have access to 2 swimming pools, 2 hot tubs, decks, 5 boat docks to fish from, a swimming beach and tennis courts. 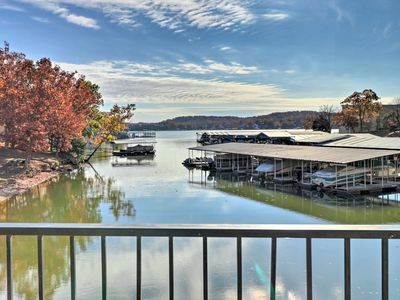 With the cove and main channel of the Lake just outside your door, this condo offers an unbeatable opportunity to spend each day on the water if you desire! 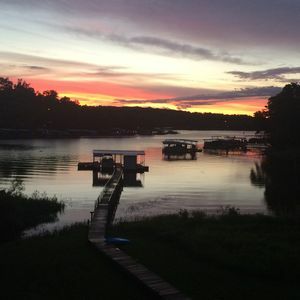 Golf enthusiasts will be thrilled with the courses in the area, offering a picturesque setting and a laid-back resort ambiance. 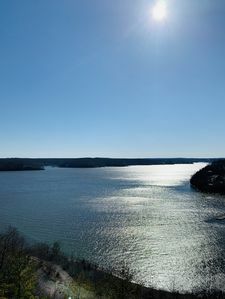 If you're seeking a more adventurous outdoor experience, check out cave tours, trails and mountain biking! 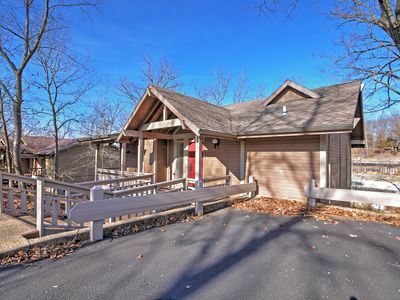 Located in the Lodge of the Four Seasons area, this condo is just minutes from the famous Strip at Bagnell Dam and the Outlet Mall. There's no shortage of unique dining and shopping close by, and the bar scene is second to none. 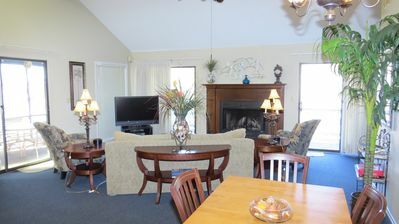 Book Monday and Tuesday at Seabright Vista stay Wednesday totally FREE! 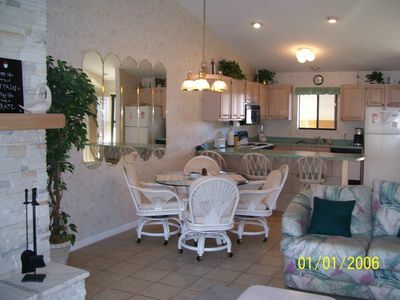 Comfy Ledges Condo--quiet cove, slip & Wifi included - 7th night free! 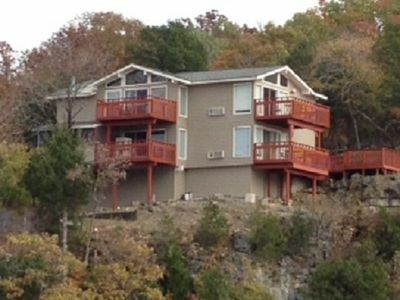 Superb Location With Expansive Panoramic Views!